William Hill is one of the oldest gambling brands in the UK, dating back to 1934. They are the largest gambling brand by far in the UK, generating more revenue than any other site. They do NOT accept US players. Those outside of the US are offered a 200% up to $2,000 bonus. William Hill offers a 200% up to $2,000 poker bonus and is currently ranked #28 out of 28 reviewed poker rooms with an overall score of 25.02. 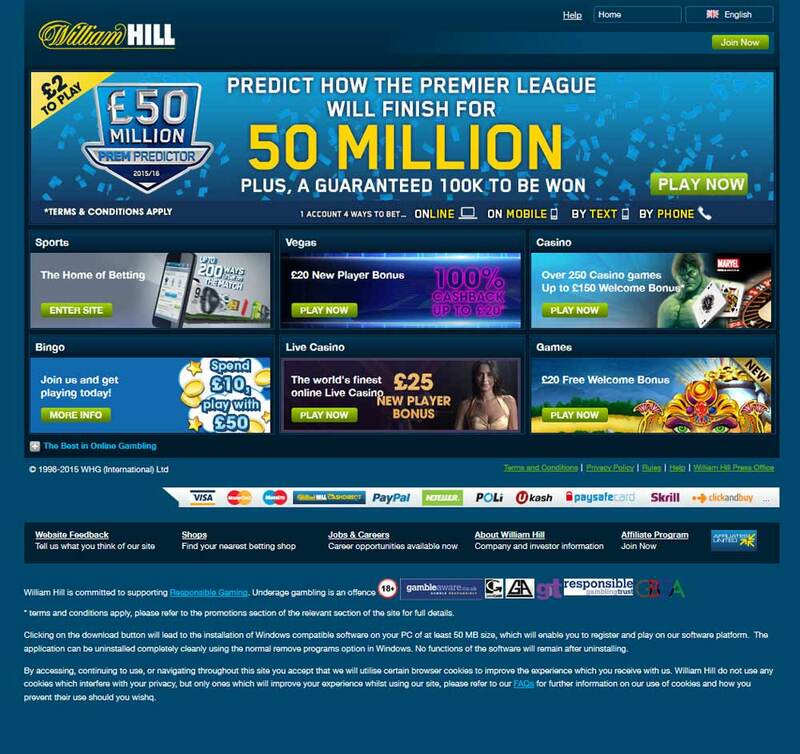 Visit www.WilliamHill.com for more details and to download the official William Hill software. William Hill does not use a bonus code for their bonuses. Instead, everything is automatic based on a players first deposit. If you don’t yet have an account, you can use the links on this page to visit William Hill and signup. This will help support Bonus Ace at no cost to you. William Hill doubles a players first deposit, up to $2,000. A $1,000 or larger deposit will activate the maximum possible bonus. William Hill’s terms are quite confusing. They also are bad for the players. With a recent change to the bonus clearing requirements, their bonus value dropped significantly. Looking at the table, they give a very good rate for the first $30 of the bonus, but then nail you with a terrible value for the remaining $1,970. The bonus must be earned within 45 days from the first deposit, which is almost certainly not enough time for 99.99% of poker players. The total rake required is $21,944.44 which means you need to generate $487.65 rake per day for pace. That is the highest pace we have ever seen. Points pace per day is 4,388.89. The value of the bonus sits at a low 9.11%. However, the VIP value is laughably higher than the main value at 11.39%, bringing the overall value to 20.5%. That being said, the VIP value assumes you can clear the full bonus which is damn near impossible. 200% up to £1,200 bonus: Must earn 560 points per £5 release. 14 WHPs are awarded for every £1 paid in rake. 200% up to €1,500 bonus: Must earn 500 VPPs per €5 release. 10 WHPs are awarded for every €1 paid in rake. In addition to the main deposit bonus, William Hill will give you $10 free to play in their casino, after you make your first deposit. Doesn’t really benefit poker players, but eh, it’s free money. The bonus you receive depends on the currency you use to deposit. 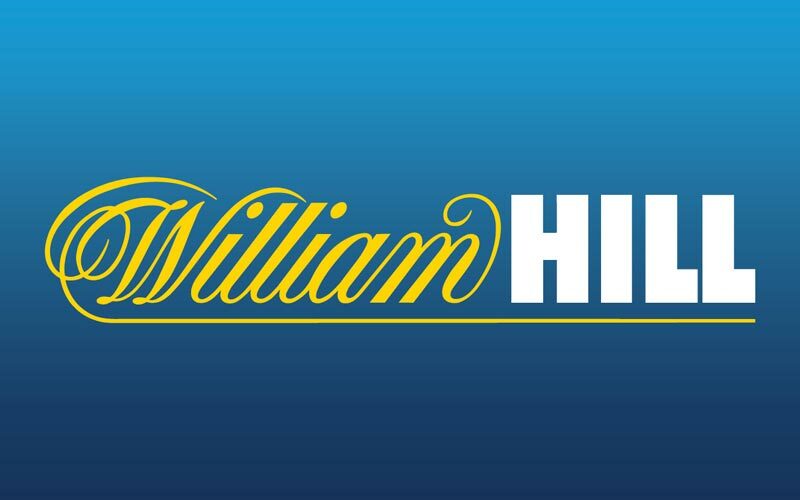 If you’re looking to play now, you can visit WilliamHill.com now from any device or platform and start earning your $2,000 deposit bonus! Looking to get started? Signup at William Hill through Bonus Ace by using the link above. New players can receive the 200% up to $2,000 opening bonus offered, described in this review.